All Brick home on private 5 acres in Mt. Juliet. Refinished Hardwood, New Carpet, New Paint, New Chimney, New Deck. 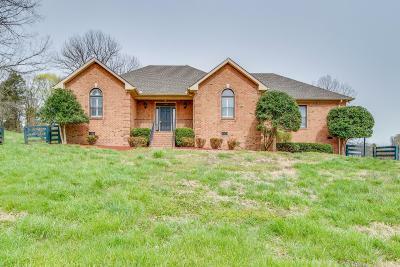 Located at the end of cul-de-sac with rear driveway access to Needmore Road. Mt. Juliet Schools and near Old Hickory Lake. Selling two adjoining 3 acre lots separately. Courtesy of Robinson Properties Realty & Const.